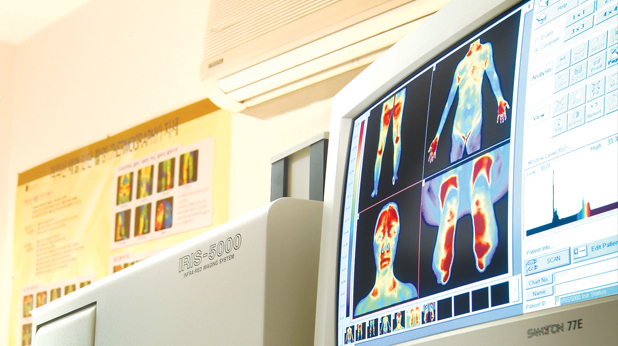 We are staffed with imaging specialists that make accurate, precise diagnoses of your condition using diagnostic tools such as X-ray, MRI, CT, and bone density. We base all of our Korean Medicine treatment on these diagnoses. Provides accurate images of discs, nerves, muscles, and ligaments around the spine at sagittal, coronal, and transverse planes. We can observe the spine in a sagittal plane, something that cannot be done with an x-ray. It is an effective tool for the diagnosis of calcification and/or degenerative changes in the bones, ligaments, and discs. 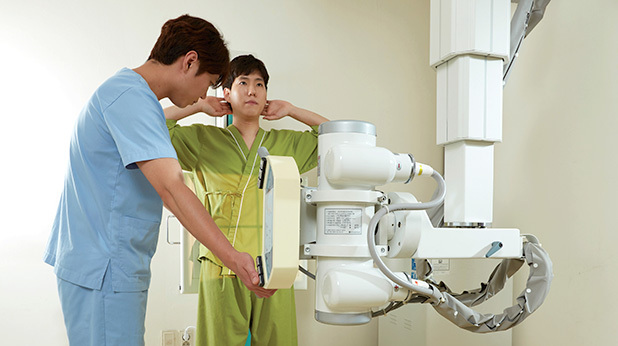 We can use x-ray images to get an overview of the entire spine. We check for scoliosis, spondylolisthesis, and any other instability in the body structures. 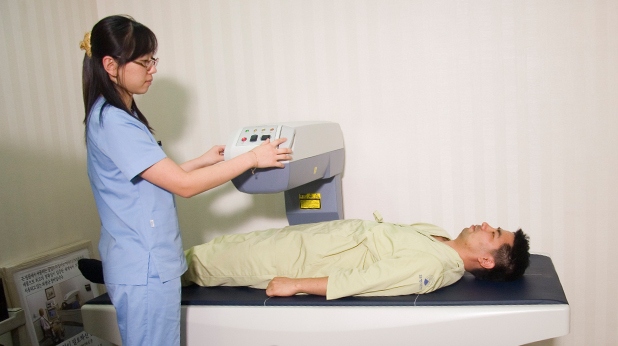 Ultrasonic waves are used to obtain detailed images of the nerves and ligaments. 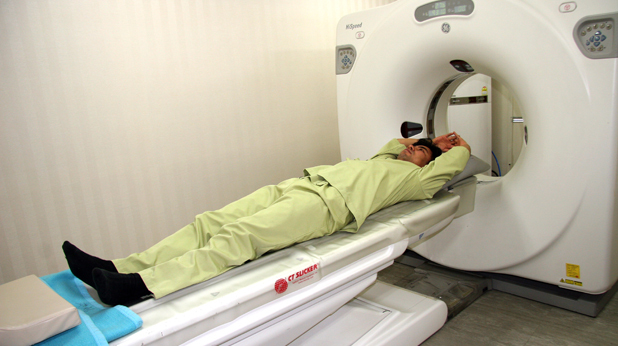 Images are taken continuously to detect any problems with muscle, bone, and ligament structures. A tool used to diagnose osteoporosis. It is also possible to predict how much the patient is vulnerable to fractures. The device detects micro units of infrared naturally exerted by the human body. This enables detection of very small differences in body temperature across different areas of the body. It is a visual aid that helps differentiate areas of deficit from normal parts of the body. It is a very helpful diagnostic tool for diagnosis of any problems with vital function. 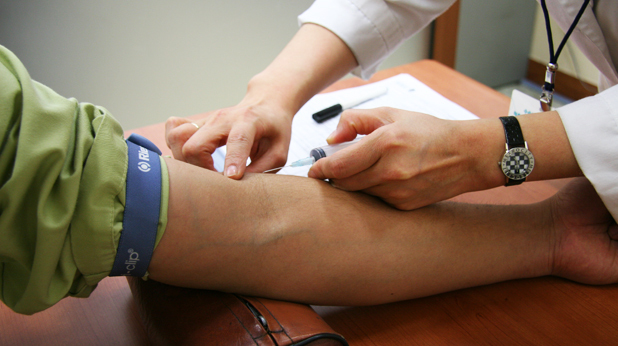 It is possible to detect changes in the patient’s condition, including prognosis, stages of inflammation, and treatment outcomes.